Matt Savage was born and raised in San Jose, California. He started working at the age of 14 as a porter in a 60-lane bowling center. When his dreams of becoming a professional bowler started to fade, he looked for other ways to compete. Who could have predicted that when he walked into a poker room for the first time at the age of 21 that his new competitive choice would take him to the top of the profession? Not exactly as he planned mostly because he claims that his below average poker playing ability led him to take a job at the same poker room he walked into one year earlier. Matt has handled most poker room jobs from selling chips, dealing, floorman, and lead floorman, but is was not until 1998 when he discovered he had a passion for running poker tournaments. Savage stepped in as a substitute tournament director when the current TD went on vacation. Shortly, he was asked to take the lead tournament position when a nearby casino opened its doors. It was a couple of years after making the tournaments the best in the Bay Area that Matt noticed there was a serious problem plaguing the poker tournament industry. Tournaments around the country and the world had different and inconsistent rules and players did not know what to expect when they entered an event. In 2001, Matt traveled to the world’s biggest poker stage, the World Series of Poker hoping to get poker directors to work together to form standardized rules. He was met with a roadblock, but the path was cleared when a friend (Linda Johnson) agreed to provide a forum for tournament directors to convene. Out of that meeting the Tournament Directors Association (TDA) was formed. 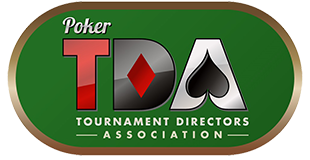 The TDA has become the worldwide standard for tournament rules and is now used in most major tournaments including the WSOP. In 2002, Matt was invited to direct the World Series of Poker at a critical time and watched the cash prizes in the main event grow from $6,000,000 to more than $25,000,000 in 2004. During his tenure at the WSOP, the transformation of both televised poker and the internet boom was taking place. Call it being at the right place at the right time, or persistence and hard work, but Savage ascended to become the world’s top poker tournament director. In 2003, he was awarded the inaugural Benny Binion award for outstanding service in the poker industry. Matt has currently appeared on more than 300 televised poker shows on ESPN, GSN, Fox Sports, Travel Channel, and numerous others. Matt was also the host of a nationally televised show called “Inside Poker,” and is an actor in the Warner Brothers movie “Lucky You,” in which he worked with actors Drew Barrymore, Robert Duvall, and Eric Bana. Matt currently has the position of Tournament Director at Commerce Casino in Los Angeles which is the world’s largest poker room and at Bay 101 which is in his hometown of San Jose. 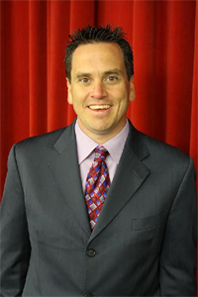 Matt also currently serves as the Executive Tour Director of the World Poker Tour. Matt lives in Las Vegas with his lovely wife Maryann, daughter Rizaann, and son Marko. Besides home and the poker felt, his 3rd favorite destination is the golf course. Follow Matt on Twitter @SavagePoker where he’s never too busy to answer questions about Poker TDA rules.